Look, listen and then sing with us! This karaoke made by Vislav is a record of our very first attempt to sing LXXIR's new marching song together. It was our first and only run-through before grand parade at Natali di Roma 2018. 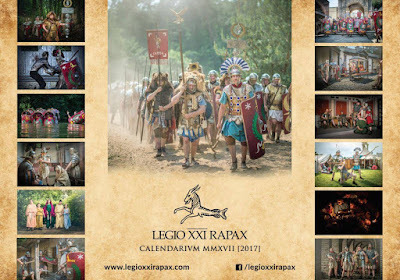 A short but interesting read on The Date of the Disappearance of Legio XXI. Rapax from the Classical Review. Still we know that we know nothing in this case. Only probable explanations and theories. 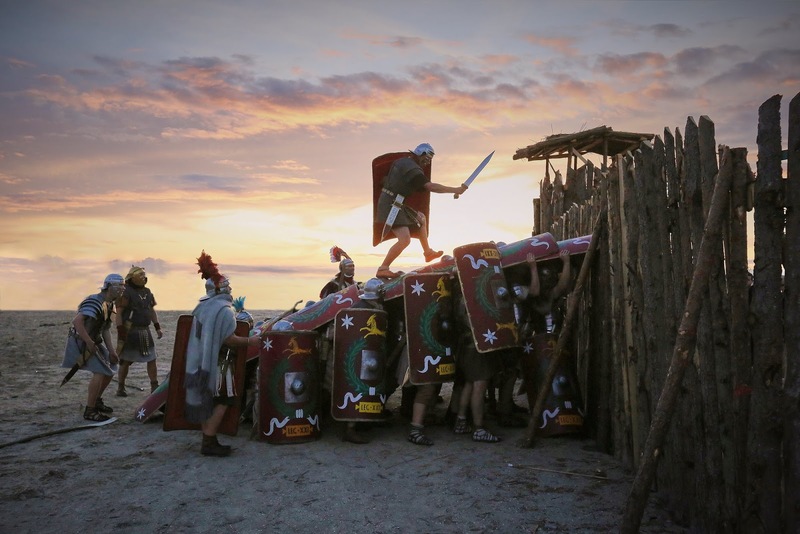 9.9.2017 in Swinoujscie, Poland, is and always will be a memorable day for our reenactment. We laid a siege and punished barbarian settlement for its numerous crimes... somewhere on the far coast of northern seas. See by yourselves: here is a short video from VII Days of The Fortress Festival in Świnoujście. 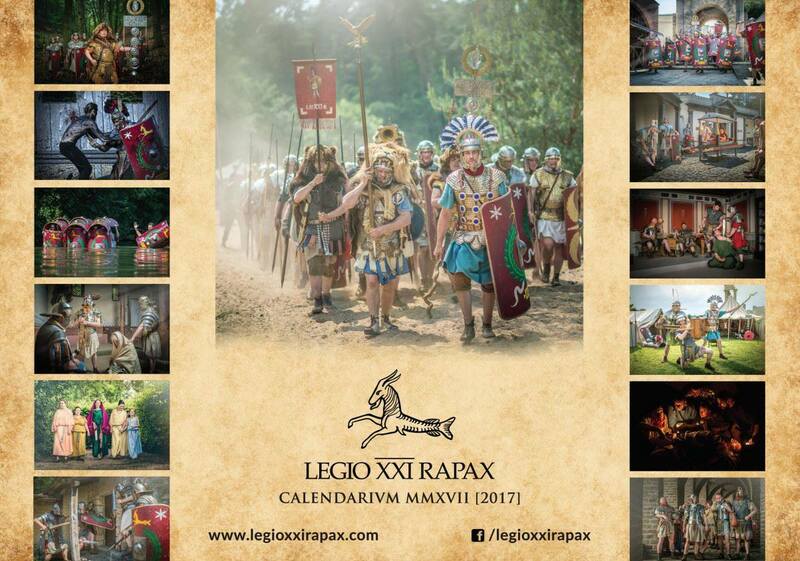 We've made 2017 calendars for Legio XXI Rapax members and fans. Here you can see the calendar's cover with miniatures of all months and an example of a single page - February. The size of the calendar is B3. 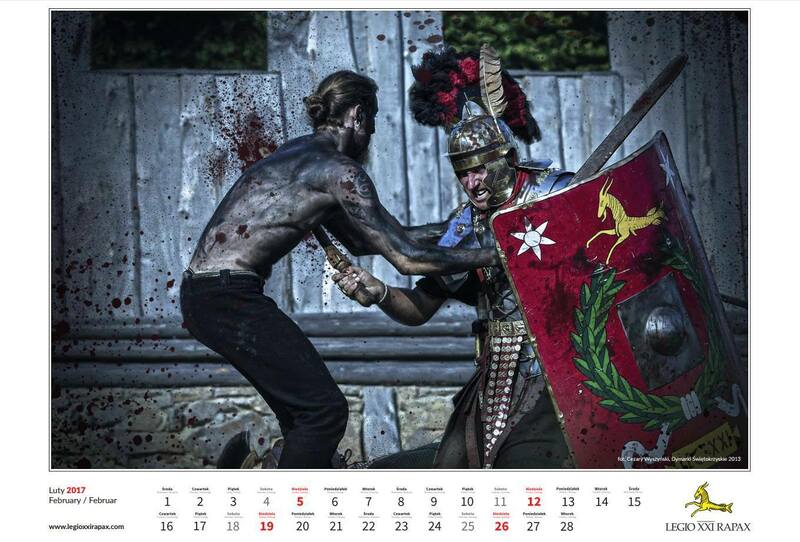 The months & days are in Polish, English and German. And each moth has its own page. 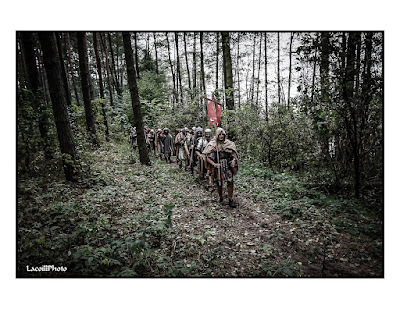 Here we present some pictures from a patrol in the Venedian Forests by Contvbernivm Tvbvli of Legio XXI Rapax. The patrol took place this autumn in Germanic (Masovian) forests near Rhenvs flumen (the Bug River). To find an eagle statue worth the name of aquila legionis is not an easy task at all. 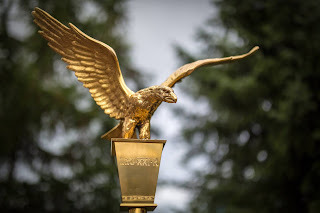 Actually there are a lot of casted eagles on Internet auctions but most of them do not match expectations of a true Roman reenactor. One has to consider the historical impresions, shape, pose, dimension, weight, material, general aesthetics and of course - costs. So not only a historical accuracy but also a personal taste and money can interfere with one's particular choice.